Combined arms warfare (CAW) – the integration of different arms on the battlefield (e.g., armor, infantry, artillery, aircraft, and engineers) in order to achieve maximal efficiency there–is as old as war itself. Every army across both time and space that has engaged in combat has practiced one version or another of CAW, whether consciously or otherwise. The Israel Defense Forces (IDF) has been no exception to the rule. This book traces the Israeli experience with CAW from the country’s War of Independence in 1947–49 (against a coalition of Arab states) through Operation Protective Edge in 2014 (against a coalition of Hamas-led terrorist/insurgent groups). It describes and analyzes the IDF’s practice of CAW in each interstate war (IW), asymmetrical war (AW), and low-intensity conflict (LIC) that Israel has fought since the country’s establishment in the mid-twentieth century. The book also highlights the Israeli approach to CAW in respect of special operations (SPEC OPS). With no end in sight to the Arab–Israeli conflict, and with further hostilities between Israel and its neighbors virtually assured in the future, Combined Arms Warfare in Israeli Military History constitutes an essential addition to the literature about Middle Eastern warfare. 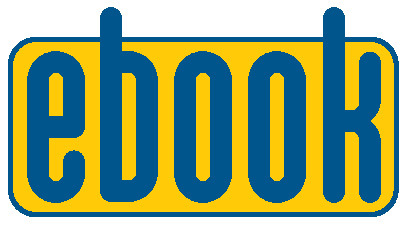 This book is aimed primarily at the academic and research community, but it is fully accessible to anyone with an interest in Israeli military history. Combined arms warfare has been at the heart of IDF strategy from the earliest days. With a wealth of detail and penetrating analysis, David Rodman traces the evolution of IDF combined arms warfare strategy from the War of Independence to the present, through six interstate wars, three asymmetrical ones, and ongoing lower-level hostilities. This book will be of particular value to those with a deep interest in Israel’s military history and defense strategy. “A succinct and insightful review of the IDF's modus operandi in Israel's conflicts with its Arab enemies. A most welcome addition to the literature about the IDF and Israeli military history. David Rodman’s book on combined arms warfare in the IDF is full of significant information, insightful analysis, and historical lessons. This book clearly illustrates the important role that combined arms played and plays on the battlefield. This authoritative study should be required reading for everyone who wishes to study military operations. An excellent new book assessing Israeli military strategy from 1948 through to Operation Protective Edge in 2014. 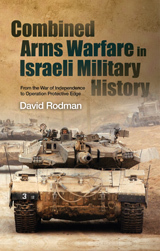 Attempting to test the thesis that the Israeli military is at its most effective when embracing a combined arms approach to its operations, this book convincingly supports it, with Rodman making it apparent that Israel's relatively few military failures stemmed from an overreliance on armoured forces, or aerial bombardments, i.e. the early stages of the Yom Kippur War, and Second Lebanon War.... More accessible than many other books analysing military doctrine and strategy, Rodman has made an excellent effort at demystifying the IDF's almost mystical prestige, and distilled clear lessons other militaries would do well to follow.